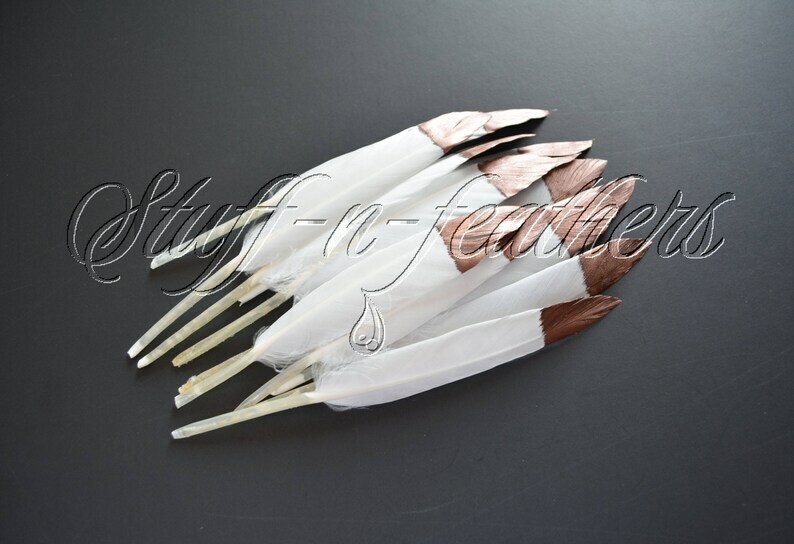 This is a listing for 12 premium handpicked natural white duck cochettes feathers hand painted with metallic copper paint. These feathers are painted at the tips creating “dipped” effect. This type of painting with Metallic copper doesn’t affect the quality of the feathers is permanent! and water and scratch resistant. These are narrow, stiff pointer feathers from domestic white ducks. 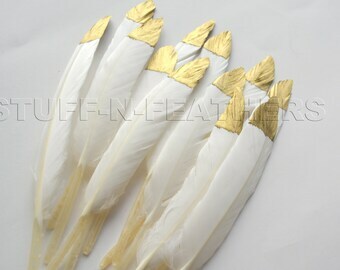 These feathers are well suited to mask, head dress, jewelry making and other applications where a short, stiff feather is needed.